When you get anxious, your breathing goes shallow and fast. Paying attention to your breath and focusing on slow, steady breathing in turn helps calm your nervous system down. That’s why these simple exercises work so well. While none of the breathing exercises I’m about to share with you are complicated, by far the simplest one is breath counting. Take slow and steady breaths, breathing in through your nose and out through your mouth. Start counting each exhale. By the time you get to twenty, you should feel noticeably calmer. Another good exercise is to find a calming breathing rhythm. Start by breathing in through your nose for four seconds. Hold your breath for two seconds, then slowly exhale through the mouth for six seconds. After a minute or two you should start to feel noticeably calmer. Keeping this steady, slow rhythm of breathing melts stress and anxiety away. Another great technique if you have the opportunity to sit or lay down is to practice abdominal breathing. Get comfortable, relax, and place one hand on your stomach. Start breathing in and focus you mind on the feeling of your stomach rising. Slowly breathe back out and pay attention to how your hand lowers back down. Keep breathing slow and steady focusing your mind on your abdomen. If this isn’t an option, you can instead focus your mind on how the air feels flowing in through your nose and out through your mouth. 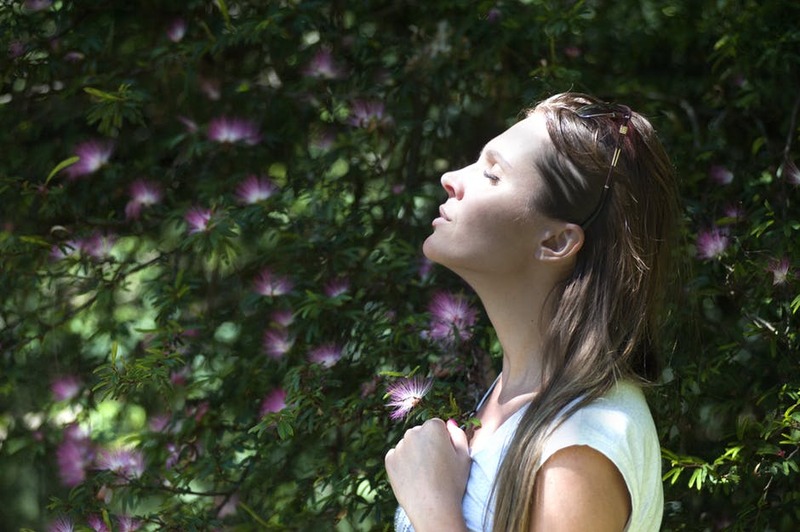 It’s important that you practice these breathing techniques before you find yourself in a stressful or anxious situation. Make it a habit to practice them daily so you’re comfortable with the exercises when you need them. You don’t want to have to focus on what you’re doing, or worse, worry about whether or not you’re doing them right. Instead, you want to practice each breathing exercise until it becomes a habit and something you can do in your sleep. Practice and then implement any of these techniques whenever you feel anxious. They are a great way to calm down almost instantly. They are also very helpful when you are having a hard time falling asleep. Practice your breathing exercises in bed and it won’t take long before you start drifting off to sleep.